Did you see the video on Facebook? Or hear the story during Woofcast 343 about some fellas from New Zealand that took a Classic Mini out to Bonneville last week? >If you want to break a high-speed record, Bonneville is the place to be. Many a record has been smashed on the legendary salt flats in the US state of Utah. 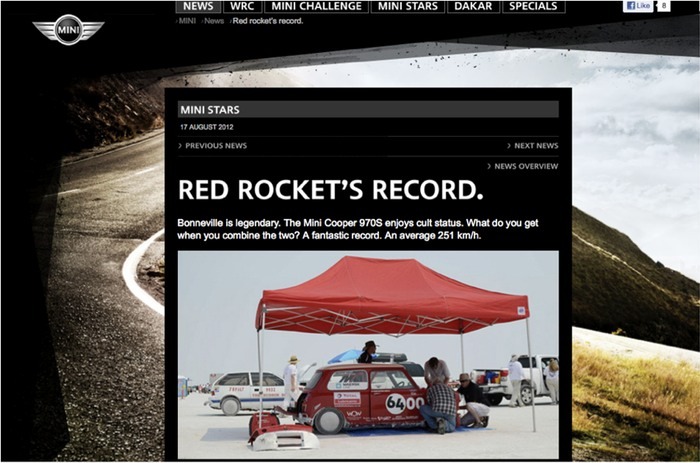 The Bonneville Speed Week is the logical choice – a 1964 Mini, perhaps not so. While the 970S boasts an iconic design, the aerodynamics of the legendary shape hinder any attempts to improve the car’s top speed. This can be particularly troublesome when the goal is to raise the bar for cars with engines with a capacity of less than 1,000 cc. Despite this, it could not have been an easier decision for a team from Nelson, New Zealand. More information, including some awesome photos *and* video of the run can be found over at the Project Sixty Four Facebook page.